With all that's going on in South Beach, Miami, it was actually really refreshing to see this! There is SO much money, fame, greed, and waste going on that you wouldn't expect to find a program that provides something for free and even more so you wouldn't expect them to actually forward 100% of the money raised! This parking lot is on Commerce Street in between Washington Avenue and Alton Road - a little west of Collins Road (A1A). You Don't Have To Feed The Meters To Park Here. But The Change You Put In Them Will Change Lives. 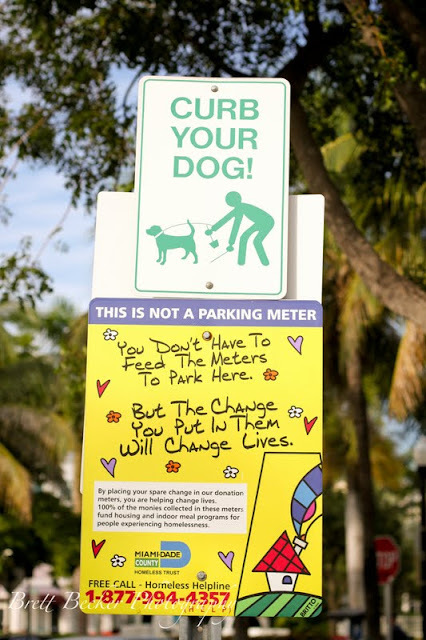 By placing your spare change in our donation meters, you are helping change lives. 100% of the monies collected in these meters fund housing and indoor meal programs for people experiencing homelessness. 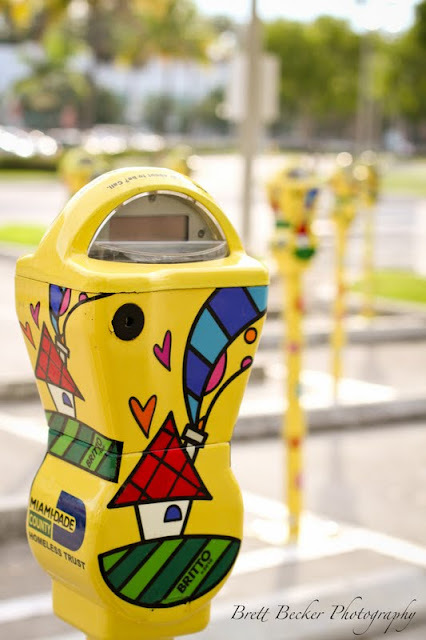 I think these are some of the coolest looking parking meters around. I have taken a bunch of photos of viewers (you know, those things that are like "binoculars" or a "telescope" so you can see the view of the beach or city in a little more detail?!) - well maybe I will have to do some parking meters now! Who knew that they varied from place to place. 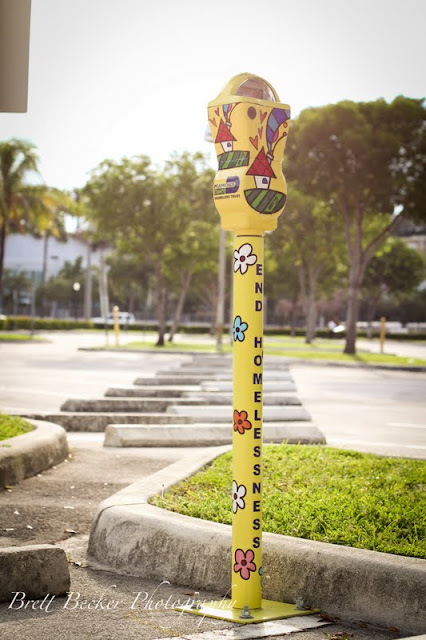 Here is the website for Miami-Dade County Homeless Trust if your curiosity has been sparked. There are definitely a lot of homeless down here in Florida. Having lived in New York, Massachusetts, California, Virginia, and now Florida, there are homeless everywhere and we are all aware. But at least next time you are parking your Lamborghini in South Beach or Miami, you can give to the homeless pretty darn easily. I know Hollywood, FL has a homeless shelter and ministry called the Homeless Voice - and they help feed, clothe, house, and provide job training for those who are homeless. But there are usually great people doing great things almost everywhere!